In the era of big data, clean data has become more important than ever before in order to succeed in strategic marketing. Strong marketing campaigns are only as effective as the data you use. Incorrect, duplicated or outdated data compromises the potential of your campaign and any insights, therefore, becoming inefficient and less effective. In order to ensure that data is useful and accurate, you should ensure that a data cleansing strategy is implemented. 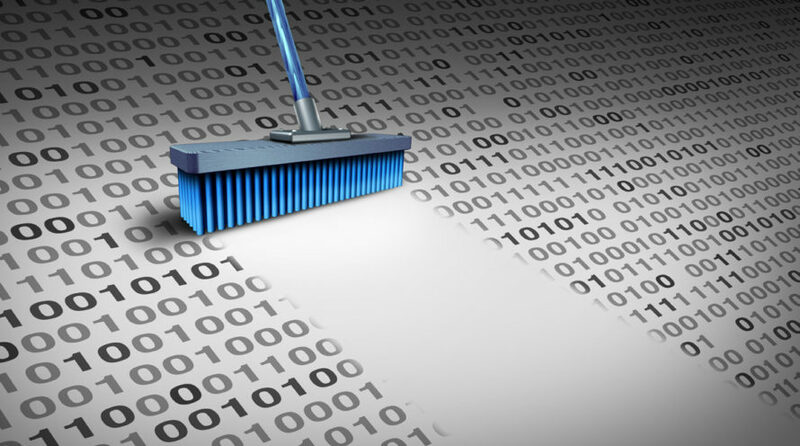 Terms often used are data cleansing, data cleaning and data scrubbing – we will be using data cleaning. Data cleaning is the process of identifying, correcting or removing corrupt and inaccurate data from a database. This ensures that you are left with the most relevant, high-quality data to run your campaigns. When using data which is inaccurate, the results of your analysis will be skewed, resulting in misinformed marketing decisions based off of false trends. Data cleaning enhances the reliability of your decision making and data analysis. It will enable your company to gain up to date insights that are based on factual trends. Additionally, clean data makes it easier to keep your analytics up to date and accurate, which in turn improves your decision-making across the board. Data-driven marketing allows organisations to quickly respond to shifts in customer dynamics and improve the accuracy and consistency of your lead profiles. This results in a higher chance of conversions and improved marketing ROI. When data is kept up to date and cleaned regularly, there is far less chance of emails being returned or leads going cold through missing or outdated information. Needless to say, if the same person is receiving multiple emails, they will very quickly opt out and unsubscribe. Up-to-date omnichannel customer data enables you to reach the right people, at the right time, in the right way. The data cleaning solution provided by Traceps takes any old and outdated data you submit and returns only the most current information. Contact us today for your data cleaning requirements.